Bean sprouts are the tender, edible shoots of bean plants. When the beans go through the germination process, the nutritional value of the beans and seeds improves tremendously. These sprouts are low in calories and rich in fiber, vitamin and mineral content. Though you can sprout any bean, mung bean and soybean are the most popular in the US. These can be eaten raw, juiced and you can also add them to stir-frys. Their flavor varies from sweet and delicate to sharp and intense. Bean sprouts have been consumed for centuries for their nutritional and medicinal properties. 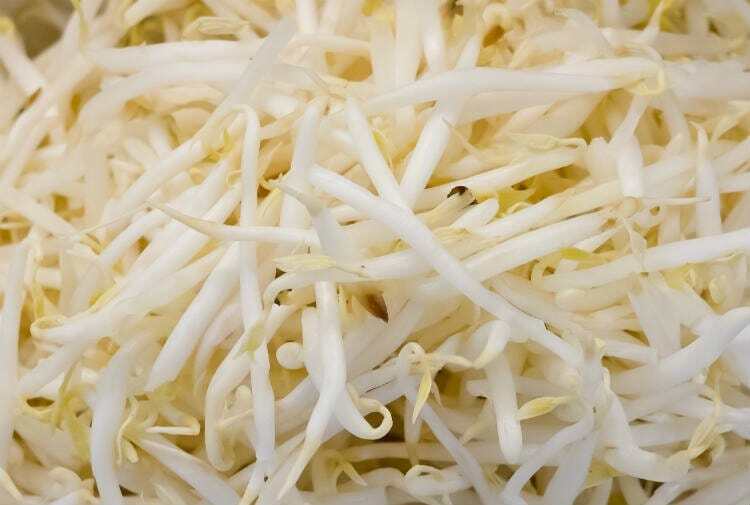 Let us learn more about the nutritional value and health benefits of bean sprouts. While the nutritive value of most vegetables decreases after they have been harvested, bean sprouts retain their nutritional properties until they are consumed. 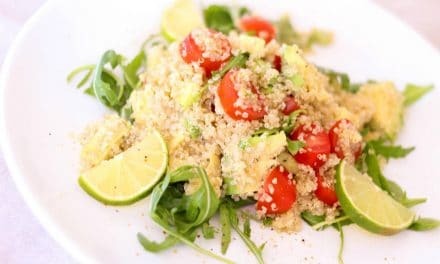 Sprouts also are an excellent source of fiber, manganese, riboflavin, and copper, along with other nutrients like protein, thiamine, niacin, vitamin B6, pantothenic acid, iron, magnesium, phosphorus, and potassium. Sprouting enhances the metabolic activity of the dormant seeds. This increased metabolic activity makes nutrients like vitamins, minerals, enzymes, sugars, proteins, fibers and fats more bioavailable. 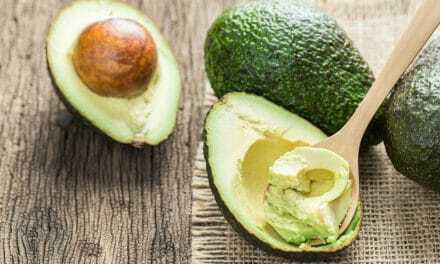 Studies have shown that certain vitamins like vitamin A, C, and E, which were barely detectable in dry seeds, significantly increase in concentration when the seeds are sprouted. Bean sprouts are a rich source of vitamin C which is very useful in lowering anxiety in response to stress. 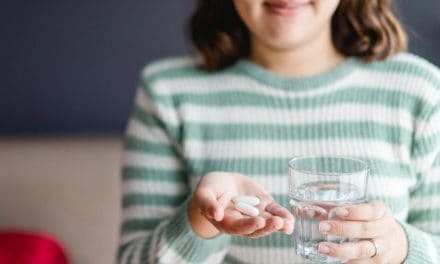 According to a review of 14 studies, conducted by the Joanna Briggs Institute, Australia, high-dose sustained release vitamin C may reduce anxiety and mitigate increased blood pressure in response to stress (2). The bioflavonoids present in mung sprouts also help protect against stress. During another 2016 study, scientists discovered that kidney bean sprouts could be a good source of dietary melatonin and other bioactive compounds that are known to have health benefits (3). All bean sprouts contain impressive amounts of antioxidants. Antioxidants help neutralize the effects of disease-causing free radicals. Damage caused by free radicals has been linked to chronic inflammation, cancer, heart ailments, and other diseases. According to a 2012 study by the Jeonnam Agricultural Research and Extension Services, South Korea, the extracts of mung bean sprouts are effective against lung and stomach cancer cells (4). Studies have also demonstrated that mung bean sprouts may contain six times more antioxidants than the mung beans (5). Age-related macular degeneration is a common problem found in people above 50. However, studies have shown that age-related macular degeneration can be significantly reduced through daily supplementation with folic acid, vitamin B6 and vitamin B12 (6). Since bean sprouts are a good source of folate, regular consumption of bean sprouts may help in preventing macular degeneration and keep eyes healthy for longer. Sprouts also contain vitamin A which helps improve night vision and protects the eyes against cataracts and glaucoma. Many people add vitamins, minerals, enzymes, and probiotics to their diets to improve their immunity. Consuming sprouts does all this and more. One cup of raw mung sprouts adds to the amount of iron in the diet. Iron plays a vital role in boosting immunity and preventing infections. Many studies have shown that iron plays a crucial role in promoting immunity as it helps kill damaging pathogens (7). Sprouts can add a lot of healthy nutrients to your regular diet. During pregnancy, women are advised to add more folate to their diet as folate is essential for the development and growth of the child. Folate deficiency has been linked to many congenital disabilities (8). One cup of cooked mung bean sprouts can provide 80 percent of the daily requirement for folate (9). Bean sprouts also provide iron, protein, and fiber, all of which are essential during pregnancy. However, FDA does not recommend raw sprouts during pregnancy as it may lead to infections. So, cook your sprouts and add them to your diet. A 104 gram serving of mung bean sprouts contains 34.3 micrograms of vitamin K which is around 43 percent of the daily requirement. According to the American Society of Nutrition, vitamin K plays an essential role in preventing heart diseases. Vitamin K helps in blood clotting, and it also helps in preventing the buildup of calcium in blood vessels. According to the American Journal of Clinical Nutrition, coronary artery calcification (CAC) is an independent predictor of cardiovascular disease. During a trial, 288 man and women were given vitamin K supplements for three years. The results showed a 6 percent decrease in the progression of CAC in those who took the supplements (10). Sprouts, especially mung bean sprouts have properties that help lower bad cholesterol levels. According to a 2015 study, fermented mung bean contains antioxidants that lead to its hypolipidemic effect on hypercholesterolemic mice (11). According to a review of 26 different studies, dietary intake of pulses significantly reduces LDL cholesterol levels (12). Bean sprouts can also help build strong bones and improve bone health. Sprouts are an excellent source of vitamin K, which acts as a modifier of bone matrix proteins, enhances calcium absorption, and thus prevents bone loss and osteoporosis. Bean sprouts also contain manganese, which when combined with calcium, vitamin D, magnesium, zinc, copper, and boron, helps improve bone mass. Bean sprouts are a good source of dietary fiber and proteins. The high fiber and protein content in sprouts help you stay full for longer and improve satiety, and this helps prevent weight gain. Sprouts are also low in calories, with one 100 gram serving containing just 30 calories, so it helps keep the weight in check. How to sprout beans at home? Make sure that the beans you are using to sprout are not chemically treated. Wash the beans under running water and soak them overnight in clean water. Soak them in a wide mouth jar with a lid that allows drainage and heat to escape as the beans sprout. The soak time can vary from five to 12 hours, depending on the size of the seed. In the morning drain and rinse and shake the beans to distribute them more evenly. Repeat this process three times daily till they sprout. Draining and rinsing give them the right amount of moisture. Also, make sure that only a quarter of your jar is filled with beans as the beans to around eight times their original size when they are sprouted. Keep the jar in a room with good air circulation. Once the beans have sprouted, store them in the refrigerator. The mung bean sprouts are called sukjunamul in Korea. The name comes from the words Sukju and namul. Sin Sujku was a prominent scholar who betrayed his colleagues and favored the king’s uncle as a claimant to the throne. Since mung bean sprouts also go bad very quickly, they were given the name sukjunamul. In China, mung bean sprouts are known as douya and are used in fried rice, spring rolls, eggs drop soup and hot and sour soup. The soybean sprouts are also known as kongnamul. Soybean sprouts have been consumed in Korea since ancient times. Records indicate that these sprouts were used to feed starving soldiers. In Nepalese cuisine, a soup of nine types of sprouted beans known as kwati is prepared during the festival of Janai Purnima, which falls in August. Like any raw food, sprouts are also susceptible to carrying bacteria. According to the US Department of Health and Human Services, there have been 30 outbreaks of salmonella and E. coli related to sprouts. So, it is best for children and pregnant women to avoid consuming raw bean sprouts. Cooking them should kill all bacteria and makes them safe for consumption. Use clean water: Always use fresh and filtered water for soaking and rinsing beans. Avoid standing water: After the initial few hours of soaking avoid standing water in the sprouting container. The spouting container should keep the beans moist. Rinse frequently: Legumes and grains add starch to the soaking and sprouting water. So rinse the sprouts regularly during the sprouting process, especially during warm and humid climate. Keep sprouts dry: Do not wash the sprouts just before your store them in the refrigerator. Consume within a few days: Sprout only small batches of beans and consume within 5 to 7 days. Bean sprouts are a rich source of antioxidants and nutrients. 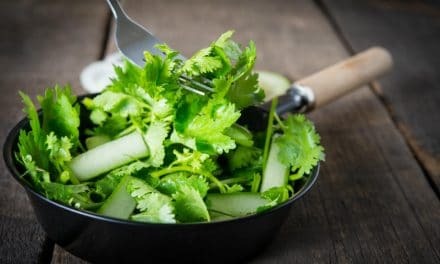 They contain vitamins C, A and K, fiber, manganese, riboflavin, copper, protein, thiamine, niacin, vitamin B6, pantothenic acid, iron, magnesium, phosphorus, and potassium. Sprouts help reduce anxiety, lower the risk of heart disease, boost immunity and bone health and prevent macular degeneration. Incorporate them in your diet and enjoy the numerous health benefits of bean sprouts.